(Un)colored is a web-oriented HTML and Markdown-compatible text editor. The standard interface is entirely distraction-free, with no menus, ribbons, toolbars or anything else. It's just an empty frame where you start to type notes. Select some text, though, and a pop-up displays various formatting options: text styling (bold, italic, underline), headings, paragraphs, lists and more. 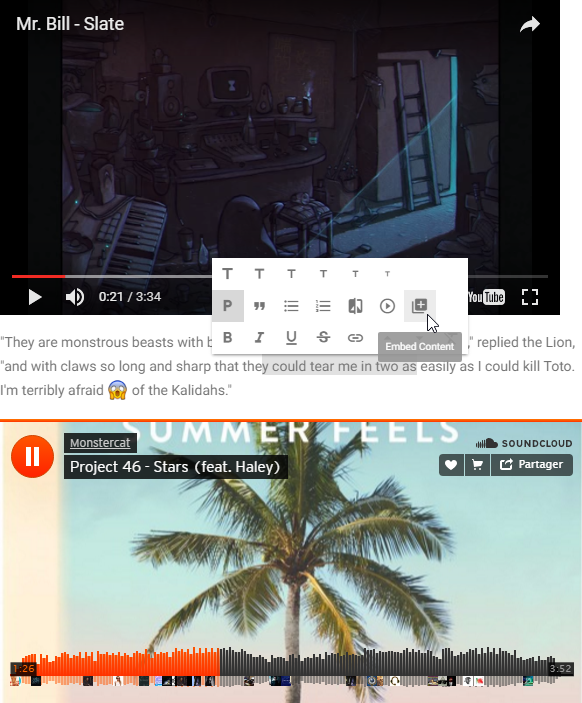 You can also embed web content including videos (YouTube, Vimeo, Dailymotion, Twitch), images by URLs, or custom content by using your own code. Move your mouse cursor to the top of the window and a toolbar appears with many more features. You're able to insert a Table of Contents, run Search and Replace operations, save the document as HTML (with a theme) or Markdown, print it, create a new document in a separate tab, or switch to other open documents. All these features are also accessible via individual keyboard shortcuts. These aren't configurable, but as most are either standard (Ctrl+O for Open, Ctrl+B for Bold) or straightforward (Ctrl+Alt+V to insert video, Ctrl+Alt+I to insert an image) you'll figure out the basics quickly enough. (Un)colored has a clean and simple interface, and makes it easy to create text documents and embed web content.